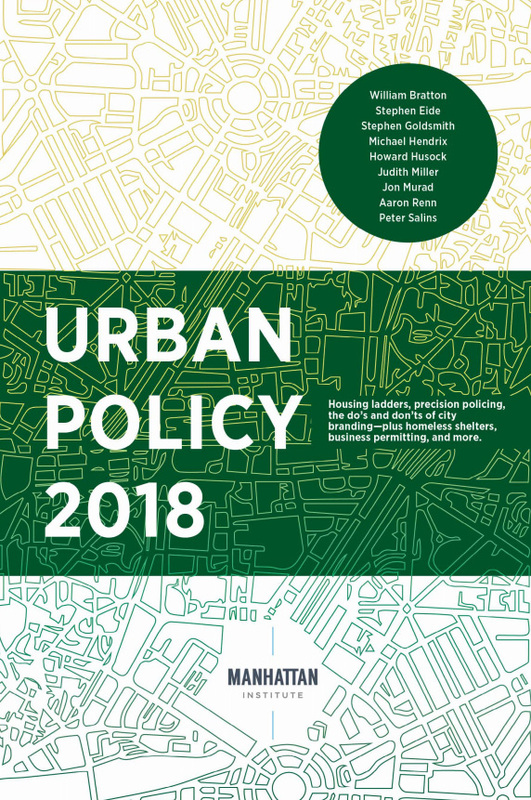 Editor's note: The following is the third chapter of the book Urban Policy 2018 (2018) published by the Manhattan Institute. Local governments play a central role in determining who gets to open a business or build a building. Yet city hall too often forces citizens to navigate a dizzying paper trail to engage in either activity. With startup rates nearing a four-decade low and building costs spiraling upward,1 local leaders should be assessing whether their regulations are effectively balancing the public interest in protecting the health and safety of residents with economic opportunity. The evidence suggests that regulatory regimes are failing to balance these interests. State and local regulatory burdens are consistently among the top concerns cited by business owners in Thumbtack’s Small Business Friendliness Survey.2 In particular, the requirements for obtaining a permit or license often have the greatest influence on whether local governments are judged as supportive of entrepreneurship. What is true for business also holds for any citizen who must obtain a public permission slip. In New York City, to take one spectacular example, small businesses are governed by more than 6,000 rules, 250 licenses and permits, and 15 agencies, according to the city’s comptroller.3 Nearly a third of these businesses report waiting six months or longer to obtain necessary approvals from the city to open up shop. More than half said that agencies failed to adequately communicate with them. Restaurateurs typically need some 30 permits, registrations, licenses, and certificates—together with up to 23 separate inspections—in order to start their business. A complicated permitting process penalizes new entrants while advantaging experienced business owners to navigate it. 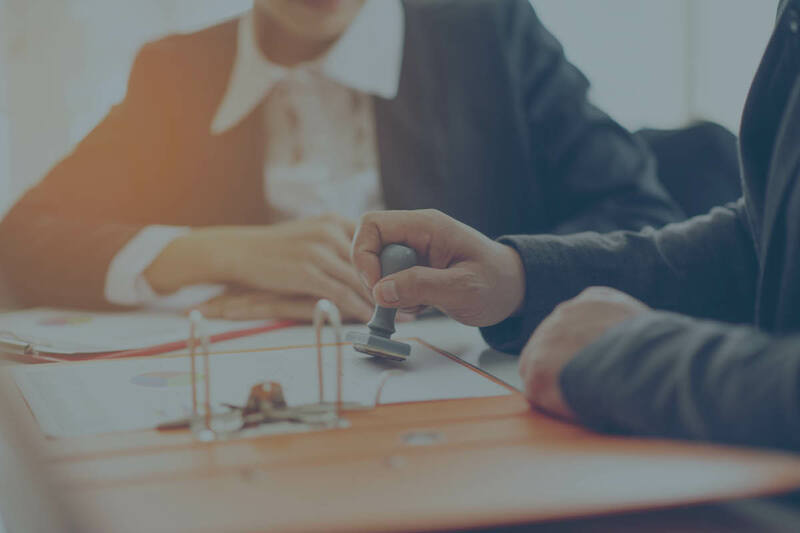 Permits govern everything from the basic acts of starting a business or constructing a building to the specifics of ensuring electrical and food safety. The goals of a permit are simple though critical: to establish standards, inform the public, and foster trust. Often cities add licenses that determine whether individuals will be allowed to ply their trade at all, such as to be a bartender or to cut hair in a salon. It doesn’t have to be this way. While significant attention has been paid in recent years to state licensing regimes, local regulations requiring permits are greater in number and less understood even as their impact grows. Some cities are rethinking their regulatory regimes. Based on the changes they have implemented, this paper makes suggestions for other cities willing to tackle the permitting processes and attendant bureaucracies that act as de facto barriers to—or that increase the cost and delay of—business formation and building construction. Today’s local permitting regimes arose out of the late-19th-century and early-20th-century Progressive movement. Progressives of that era believed that government could be professionalized by rules-based scientific management. Their biggest victory at the local level came with New York City’s large-scale civil service system in 1913. This system led to reliable city services, greater fiscal integrity, and merit-based appointments. Progressives also set in motion the notion that experts in local government could maintain standards in the marketplace through rigorous, standardized permitting regimes as well as ensure health and safety in the workplace through regular inspections and review. As governmental responsibilities began to grow dramatically in the 1960s—from environmental protection to historic preservation and economic mobility—the number of departments and job titles in local government multiplied. These jobs increasingly overlapped and fragmented, leading to complexity and reduced responsiveness. Regulations accumulated like pebbles in a stream—each one with a purpose but together shifting and stemming the flow of economic activity.7 With more at stake in public oversight, risk became less acceptable, requiring yet more review and enforcement. Today, the century-old Progressive model of local governance is showing itself out of date and in need of reform, particularly when it comes to permitting and licensure. Whether in the way city hall protects the consumer or in the way it engages with a small entrepreneur, government rarely orients the experience around the needs of the user. Cities should work toward permitting regimes that lower barriers to opportunity and improve civic governance. Absent reform, cities risk perpetuating a form of regulatory inequality that favors citizens with enough resources to navigate through or around complex permitting processes. Over time, this situation erodes public trust in government and puts a damper on economic development. Public safety is fundamental, but too many municipal governments have neglected convenience—a customer-service mentality—for businesses. City leaders must start from the reality of their permitting system, the state of their digital operating systems, and the quality and culture of their public institutions. No single reform can transform a city’s business environment, but a series of incremental changes has often brought about significant improvements. Reviewing and reducing permitting burdens is not merely about cutting regulation but about improving the entire citizen journey from agency to outcome.8 This is the experience that individuals have across multiple touch points and different channels of interactions with government from when they first approach an agency to when they get a result. We use the word “citizen,” understanding that local government regulation has a range of stakeholders and users who do not neatly fit the definition of customer but whose experience nevertheless matter. For the purposes of this paper, the two most prominent stakeholder categories deserving of customer-like attention are the businesses, which are also regulated parties that must comply with local rules governing the marketplace; and the consumers of products or services of those companies. Citizen-centric governance transforms the journey of these stakeholders through government. “When governments deliver services based on the needs of the people they serve,” concluded Emma Dudley and her coauthors at McKinsey & Co., “they can increase public satisfaction and reduce costs.”9 Service delivery is central to the role of local governments, and applying for a permit is one of the most significant interactions that it can have with citizens. Yet public-sector leaders struggle to ascertain the full scope of the requirements and processes that citizens interact with. The result is government service delivery that is designed for and directed at the needs of government itself. The first step that mayors and other local leaders should take toward making their permitting processes simpler and more efficient is to get their arms around the problem. Government regulation helps ensure a marketplace where consumers can make decisions, confident that certain assertions of quality or quantity by a business are accurate and that their health and safety are reasonably protected. How best to accomplish these goals? In the early 1990s, coauthor Goldsmith, then mayor of Indianapolis, believed that his city’s 2,800 pages of local regulations were weighing down economic growth. To relieve the burden, his administration first conducted a full inventory of regulations and the activity they covered; then it surveyed local businesses to systematically understand the exact pressure points from local regulation. In response to the findings, Goldsmith formed the Regulatory Study Commission, tasked with easing regulatory burdens on citizens and businesses. Its work was aimed at encouraging economic development, boosting affordable housing, and offering more accessible city services. The commission calculated the cost of regulation in Indianapolis—for public enforcement and in business impact—at $125 million a year.10 In reforming these regulations, the city adopted a transparent analytical framework to weigh costs and benefits with a focus on improving outcomes rather than processes.11 The elimination of permit and fee requirements resulted in enhanced approaches to health and safety as well as annual cost savings in the hundreds of thousands of dollars to small businesses and property owners. In addition, the changes served as a cornerstone to the Goldsmith administration’s economic small-business development strategy. The takeaway is obvious: city leaders undertaking reform need to understand the effects, in terms of costs, health, and safety, of their local permitting regimes. Understanding these baselines will become a critical element of reform and should include surveying and developing an inventory of existing permits and processes, their place in the overall regulatory landscape, and an understanding of the history of the city’s regulatory environment. After a regulatory commission review that clarifies exactly what health and safety risks are the object of regulation, the next step would be a complete mapping of the citizen’s journey through the permitting process. This review should include commercial permits and licenses that condition doing business in the city as well as retail-type permits that directly affect residents and indirectly involve businesses, such as requiring a dog license that may require a rabies shot or a home security alarm license. The point is to grasp the scope of the regulatory processes currently in place as well as their particularities and shortcomings. Engaging stakeholders and end users, such as businesses and contractors as well as their customers, will help sort through the challenges. Risks and compliance costs change over time; thus, continuing this dialogue on a regular basis could help turn a one-off engagement into a platform for collaboration and dialogue around local regulation. Additionally, frontline staff in city departments, along with senior-level supervisors, have a deep understanding of permits and processes; their contributions to a survey of the regulatory landscape are invaluable. After a survey and inventory process has been completed, the results should be publicized. Regular reports with clear metrics tracking the progress of reform encourage transparency, facilitate a multiparty discussion, and build public buy-in. These reports also signal that permitting reform is a political priority. Colorado’s example can be followed, with appropriate modifications, by other states and local governments. Cities should introduce a regular review of their permitting processes. These reviews should include consistent feedback mechanisms that build on the preliminary surveys and inventories, with an eye toward reducing unnecessary regulatory burdens. Cost-benefit analysis is one reliable approach to regulatory review. Understanding the net effect of a permit and its attendant regulation(s) provides decision makers with an objective measure to judge whether reform is necessary. The question could be whether a regulation is necessary at all, or could it address health and safety risk at less cost. Few cities have the expertise to do a complete cost-benefit analysis of a specific regulation. Even so, addressing the challenge helps focus a city’s thinking about the issue. In many instances, local governments can partner with an area university or think tank to assist with cost-benefit analyses of the more far-reaching regulations. An independent regulatory review commission can determine whether a permit can be removed or converted to a regulation or local law that does not require permitting. Since many permits often protect an incumbent class of businesses, such commissions help catalyze reforms by lowering political barriers (similar to the military’s base closure commission). Michael Mandel and Diana Carew at the Progressive Policy Institute have proposed such an idea at the federal level.14 Combined with sunset clauses built in to policy, cities can ensure that local permitting regimes are subject to continuous review with political buy-in. Feedback systems also generate understanding and public support for reform. Real engagement should be more than a comment box. Engagement must be active, such as through direct outreach with specifically formulated survey questions and supported by frequent face-to-face and social media interactions. Government must reach out to affected citizens, asking them to grade experiences rather than simply waiting for them to complain. Moreover, as citizens engage in various touch points with government throughout the permitting process, quick “pulse checks” can help paint a comprehensive picture of the citizen’s journey through government. In 2011, when Mayor Rahm Emanuel took office in Chicago, the impression among business owners was that Chicago’s regulatory system was complex, burdensome, and outdated—and that the permitting process, in particular, was hindering their growth. Emanuel responded by charging the city’s Innovation Delivery Team with understanding the problems with the existing regulatory landscape and establishing baselines for reform. The team quantified the volume of regulations, the amount of time it took to go through the city’s processes, the degree of resources necessary to comply and certify, and the amount of effort required on the part of small businesses overall. Working with city agencies, they looked at permitting, licensing, and inspections data over time. The mayor’s team found 117 unique types of business licenses (compared with, for example, 40 in Phoenix or 50 in Philadelphia). The median startup time for a new restaurant in Chicago was more than two months. Moreover, while some 17% of rezoning requests went unprocessed by the city, more than 1,300 buildings were receiving more than three inspections a year (an unusually high number). Chicago’s example suggests that true city reform means eliminating multiple permits and designing a process that places the burden on government to sort out its own review process and help applicants achieve their goals. City leaders should set clear and ambitious permitting-reform goals under the rubric of economic development—for instance, one stop, one application, and half as many agencies. There may also be a role for state or local standards for permit approval times and judicial review. The value of a one-stop shop—with a virtual front-end and an in-person guide—is that a single agency controls the permitting process and is accountable for the results. Its staff may develop over time the skills and culture necessary for driving a positive user experience, interacting with other public agencies, and engaging with community stakeholders. For permit applicants, the one-stop shop means equitable access to government as well as clarity and consistency during the process. If the goal of a city’s leaders is to substantively change their permitting regime, initiating small pilot efforts at reform may speed the rate of change and its permanency. Adjusting permitting approaches for a specific subset of applicants helps lower the stakes of reform while saving time and money. It also allows for an iterative reform process based on critical end-user feedback. Cities can grasp any unintended consequences early on and revise their reform approaches before engaging in a wider rollout. Survey and map the local regulatory landscape. Engage stakeholders and publicize the progress of reform. Conduct cost-benefit analyses of existing regulations. Commission a regulatory review process and oversight body. Recommend state or local standards for permit approvals and judicial review. Develop a one-stop shop for permitting and licensing. Run small pilot efforts at reform and then expand. Data-driven permitting shifts cities away from closed, expert-run regulatory systems, allowing governments to take advantage of better information and more user feedback. It used to take up to a year to wind through the regulatory maze of Newark, New Jersey, before a person could start a business.18 Now it takes 30 days, on average. The dramatic reform is thanks to Mayor Ras J. Baraka, who realized that time-consuming regulatory processes were a barrier to Newark’s economic development. Baraka directed the city’s Office of Technology to create a new, custom digital system for applying for and processing business licensing and permits. In 2015, the first beta tester of Newark’s new approvals process, a Portuguese immigrant named Anthony Da Silva, obtained the business licenses that he needed to open his Cinnamon Sugar Bakery in a month. The technological changes that have rippled through the private sector can transform the public sector. New software tools and smarter machines are enabling government to automate routine processes and deploy machine learning in order to act in time throughout the permitting process. We are seeing the widespread rollout of electronic permit processing and easy-to-use online portals together with handheld devices in the hands of inspectors. A seamless, customer-relationship management (CRM) system on the back end increasingly enables dramatically better information-sharing in the department as well as better customer service. Administrative tasks such as filling out or verifying information on forms often take up countless hours in agencies. Paper forms are an analog way of managing data flows, and the hassles of administering this “small data” approach tended to turn employees into specialists of compliance. Without these clerical burdens, employees are able to focus on issues that are more complex and use their discretion on questionable applications. With digital permitting tools, public employees have the opportunity to specialize their work, moving their freed-up time to identify riskier actors or practices and to tackle actual harms. Local regulatory regimes exist to reduce risk. Reviewing permitting requests and assuring compliance is essentially about mitigating risk. Without the tools to understand risk, cities have depended on an unwieldy, credentials-based approach to sourcing information and evaluation. It is nearly impossible to change government’s approach to regulation without the digital tools now available to target and monitor risk more precisely. Third-party professional certification ensures that qualified applicants are fast-tracked through the regulatory process. Today, most such programs, like the one in Phoenix, are limited to a small subset of experts and professionals; cities should expand third-party certification to a wider array of citizens for a greater share of permits and licenses. This helps the public sector avoid deregulating only connected contractors or well-known restaurateurs. As with TSA’s PreCheck, governments have the means to determine an applicant’s history in order to simplify or waive unnecessary reviews. A PreCheck-like program, or “RegCheck,” would use integrated digital systems to check an applicant’s history for risk proxies, such as consumer complaints, late taxes, workplace injuries, and the like. RegCheck-certified businesses or citizens would have a portable user profile that would enable them to access a speedier journey through government. The goal with accepting both third-party certification and data-accelerated review is to set up a “permission-lite” track that refocuses public resources on reducing actual harm and frees up time for examining complex requests. The digitization of the regulatory process involves much more than automating existing systems. It involves how the public sector compiles information, evaluates risk, and interacts with citizens. Analysis for approvals and compliance should get information from distributed sources across government and in the marketplace. That suggests intake systems that talk to one another and analytics that are capable of processing information obtained online and offline across multiple platforms. Furthermore, back-end processing systems should be seamlessly integrated with the front-end portals obtaining information from applicants. All too often, online permitting platforms and intake systems are merely digital wrappers on analog processes. Instead, cities should ask something more like, “What would Amazon do?” Analyzing and evaluating permitting applications should resemble TurboTax to the applicant, Google Docs to the reviewer, and Amazon for the city official. Attracting and retaining businesses is a central job of the city’s economic development team. But the process of doing business with government is often filled with endless paperwork and miles of in-person trips to a seemingly opaque bureaucracy. Publishing permitting and licensing processes online, which an increasing number of governments are doing, is only the beginning. Cities also should show their procedural steps, be clear about expected timelines, and provide contact information to direct case managers. Even prior to the application process, regulators should make clear to applicants what is expected of them in terms of time, cost, and procedures. This information is best deployed as an educational tool in readily accessible places online but also as relevant context for each step in the permitting process. But that is a static approach when what is needed is an always up-to-date sense of where a project is in review and what the time to completion is, along with where and why an application might be stuck in the process. There should be no question about who inside the government controls an application. What citizens gain in predictability, cities gain in accountability. The data now available to regulators include not only the structured data filed with the governmental agencies but also broadly available unstructured, “nonprofessional” information and know-how. The example of Yelp shows how social platforms already score restaurants in a way that augments the work of public inspectors. That is why cities should utilize reputational ratings and citizen reporting to inform and streamline their permitting process. Grading and scoring applicants by integrating widely held information can improve the process of obtaining a permit and help governments ensure compliance. How cities “co-regulate” with consumers and the regulated industry will vary, based on the type of business being regulated. Municipal regulators must recognize the continuum that exists between low-risk business practices where customers have easy access to significant quantities of informative user reviews (such as for ride-sharing) and high-risk practices with relatively inaccessible or unavailable nonprofessional knowledge (such as the engineering quality of a commercial building). Consolidate several steps and permits into a single digital system with a centralized database and automated processes. Establish end-to-end customer-relationship management (CRM) systems for permitting that simplify each step. 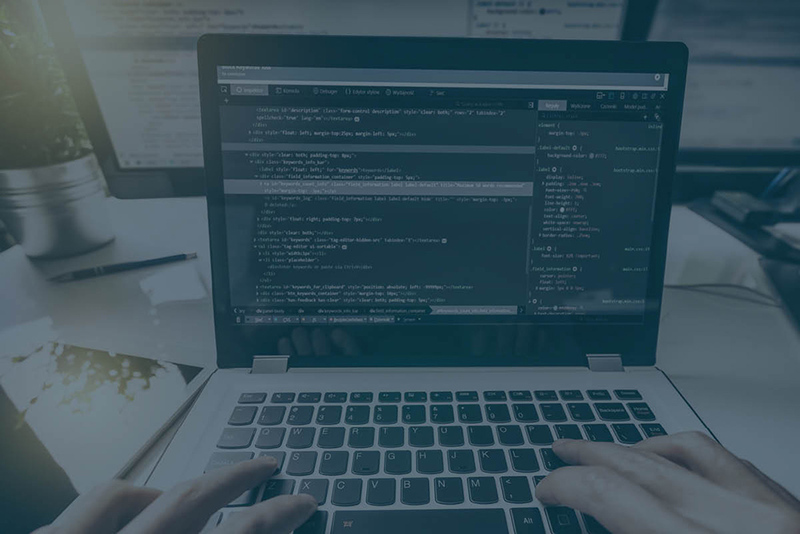 Redirect staff time to value-added activities, outsourcing as much of the commodity work as possible to automated systems or to third-party certifications. Design a certification program, along with pre-vetting and fast-tracking qualified applicants. Prioritize platforms and processes that are transparent. Utilize reputational ratings for ongoing oversight that augments public inspectors and private tech platforms. When Boston redesigned its website, the city aimed to build a new “digital home.” Designers crafted a new site with insights that it gathered from its users’ actual needs and with language accessible to them.24 The site was made simpler, too—shrinking some 20,000 pages and 1 million words—and organized by topics and user needs rather than government departments. Among the pages redesigned was Boston’s permits and licenses page. The now-streamlined online portal guides users through the process of achieving their goals, such as installing new plumbing fixtures, in a user-friendly way. Indianapolis in its website refresh also looked at how human-centered design could make it easier for underserved residents to take advantage of city benefits. Beyond procedural reform and digitization is the human element. Cities that simply cut permits or slap up an online portal often find that they are missing a crucial opportunity to reorient and rethink the design of government. Human-centered design focuses government’s attention on the user experience (UX) of its citizens, in person and online, as coauthor Goldsmith has written elsewhere in this volume. It takes into account a person’s behavior and needs in order to enhance that person’s satisfaction. Human-centered design begins with simple research: How do people use a form or interact with their environment when they file for a permit? In response to these findings, improvements should be made experientially and visually in the processes used to regulate as well as in the methods used to inform consumers. Protocols, processes, and platforms must be broken down to simplify them and to make them user-friendly, all in order to articulate a simple message: serving the citizen is our mission. Logos, publications, and even the experience of walking into a government building should speak the same design language of putting the citizen first. Cities should design the permitting process for the first-timer so that he or she will feel as welcomed and as well served as an experienced applicant. The entire operation of a permitting process should be a customer-centric and user-friendly experience from end to end. Spaces both online and offline should fit this human-centered design, rather than physical and digital forms dictating to the human user. Reform anticipates meeting those interested in city services where they are, empowering applicants seamlessly to choose whatever channel of engagement they prefer, online or offline. The language presented to the permit seeker should be that of normal people, not bureaucrat-ese. This is how Gainesville’s Department of Doing came to be. It is a one-stop shop for obtaining permits to start a business or develop property, as well as a website and back-end system for completing these same processes online. Permitting applicants are personally guided along a clearly articulated, 13-step process by the department’s “action officers.” Not only was the entire department physically redesigned as a community space, but the logos and look of the city changed as a result. The citizen is now literally placed at the center of the Department of Doing’s staffing chart to make the point that customer service is the basis for the team’s everyday work and long-term advancement. These radical but intuitive changes were driven by Gainesville’s city manager, Anthony Lyons, and implemented with staff. Human-centered design amounts to a redesign of government. As such, it necessitates bottom-up control, top-down buy-in, and old-fashioned leadership. Such a redesign does not happen overnight; it depends, in part, on culture. It requires a shift in mind-set away from compliance and toward customer service. Getting bottom-up control more often starts with a hard shift in the evaluation of public employees: Are they taking control of problems, improving the time-value to customers, and working to make others successful (such as by not continually referring citizens to other team members)? By changing the mission of the agency or department to reflect customer service, old and new employees can be oriented toward a central goal of improving user outcomes. Incorporating customer service into annual employee reviews and hiring standards cements that mission. Very little can be done on human-centered design—or nearly any of the recommendations offered above—without local government leaders supporting these endeavors. Mayors and city managers not only provide direction but also handle the budget concerns and fiefdoms that inevitably arise in public reforms. Often agencies generate revenues by creating citations or levying permit fees, and it takes a bold vision by an elected leader and their teams to take control of a strategy before budgets are reallocated. Officials should articulate permitting-reform goals to create a win-win narrative that generates popular support and the right balance of risk reduction and economic growth. Positioning permitting reform as an economic development initiative may be the most successful and sustainable approach. Someone must still directly control the permitting process and its stated outcomes. These roles go under many names: ombudsman, vice president of customer service, or, in Gainesville, Florida, a “director of doing.” At a minimum, this function needs to utilize human-centered design to guide citizens through the permitting process, focus on service, ensure that citizens are heard more broadly, and avoid regulatory capture. The presence of an ombudsman-type official signals the importance of permitting reform to agencies, businesses, and citizens. As reformists go about their work, incremental and experimental approaches to implementing redesigns are likely necessary to lower the stakes of change. Similarly, officials should clearly map and enhance the connective tissue between city hall and consumers and consumer groups. Identifying a particular area where residents go for information, and how to promote and take in information through those areas, is a critically important function in permitting. City hall has long been “self-centered,” assuming that individuals will come to it with and for information. In reality, residents are more likely to turn to Waze to understand traffic conditions than their local DOT, or to look on Facebook to learn about public recreation centers than a city’s call center. Broadly mapping these channels of interaction and engagement will create substantial value in permitting design. Conduct user research for redesigning the user experience. Redesign the entire omni-channel permitting process with a customer-focus mind-set. Incorporate customer service into annual employee reviews and hiring standards. Position reform as an economic development initiative. Appoint an ombudsman (or equivalent) with chief executive support. Create channels of interaction between officials and citizens. Citizens are often ensnared in their journey through government by complicated, costly, and time-consuming procedures meant to serve the needs of public officials rather than the people they serve. While a city’s duty to protect health and safety is undisputed, governmental permission slips too often bury the business startups and expansions that enable their communities to flourish. The first thing someone trying to open a restaurant should hear from his or her government is, “How can I help?” The front-end experience mirrors a back-end reality oriented toward customer service. Better yet, the entire journey could be online, where the entrepreneur would get a clear understanding of how he or she can get the necessary permits or licenses, step by step, on a single portal, through one agency, in 30 days or less. The best case is to achieve the desired outcomes of regulation—such as safety, knowledge, or trust—without needing a permit or a license in the first place. The barriers to reforming permits and licenses are predominantly political and organizational in nature. The challenge is not a lack of solutions but a lack in political will and the presence of sclerotic institutions. Civil servants are, for the most part, good people trapped in bad systems. Public-sector reforms often emerge from moments of crisis or the persistence of dynamic leaders. That is why the goals and incentives for reform must be articulated and pushed from the top, based on knowledge and buy-in from the bottom. The legitimate purposes of permits and licenses must be tethered to outcomes that ensure a free and fair marketplace, job growth, and economic dynamism, as well as a government responsive to and trusted by its citizens. Streamlining and digitizing permitting processes designed for citizens represents the most significant yet underappreciated series of urban reforms currently on offer. The examples noted in this paper show that change is not only possible; it is happening. We just need more of it. Eduardo Porter, “Where Are the Start-Ups? Loss of Dynamism Is Impeding Growth,” New York Times, Feb. 6, 2018. Lucas Puente, “2018 Small Business Friendliness Survey,” Thumbtack.com, Aug. 14, 2018. Office of New York City Comptroller Scott M. Stringer, “60 Ways to Cut Red Tape and Help Small Business Grow,” Final Report of the Red Tape Commission, Mar. 29, 2016. Caron Beesley, “How to Find the Right License and Permit for Your New Business,” U.S. Small Business Administration, Feb. 1, 2012. Morris M. Kleiner and Alan B. Krueger, “The Prevalence and Effects of Occupational Licensing,” NBER Working Paper 14308, September 2008. See, e.g., Joanne Kaufman, “Renovating? Don’t Forget the Expediter,” New York Times, Dec. 12, 2014. Michael Mandel and Diana G. Carew, “Regulatory Improvement Commission: A Politically-Viable Approach to U.S. Regulatory Reform,” Progressive Policy Institute, May 2013, p. 3. Emma Dudley et al., “Implementing a Citizen-Centric Approach to Delivering Government Services,” McKinsey & Co., July 2015. Adrian T. Moore, “Indianapolis’s Road to Regulatory Reform: A New Path in Licensing and Permits,” Regulation 21, no. 1 (Winter 1998): 49–56. Adrian T. Moore and Tom Rose, “Regulatory Reform at the Local Level: Regulating for Competition, Opportunity, and Prosperity,” Reason Foundation, Policy Study no. 238, January 1998. Colorado Department of Regulatory Agencies, “2017 Sunset Review: Environmental Management System Permit Program,” Oct. 13, 2017. “Case Study: Chicago Licensing and Permitting Reform,” Ash Center for Democratic Governance and Innovation, Harvard Kennedy School, Mar. 19, 2015. Jill Deichmann, “Insight into the City of Chicago’s Permitting Methods—Revisited,” Primera, Jan. 13, 2017. Kristin Taylor, “At Riverside’s One-Stop Shop for Permits, Happiness Abounds,” medium.com, Apr. 11, 2015; City of New Orleans, Mayor Latoya Cantrell, One Stop App. Andaiye Taylor, “Smart City: With New System, Newark Cuts Business Licensing Time by 90 Percent in Beta Test,” New Jersey Tech Weekly, Sept. 11, 2015. City of Phoenix, Planning and Development, Self-Certification Program. “Case Study: City of San Diego,” OpenCounter, undated; Economic Development, sandiego.gov. Michael Luca and Luther Lowe, “City Governments Are Using Yelp to Tell You Where Not to Eat,” Harvard Business Review, Feb. 12, 2015. “Yelp Adds Health Inspection Data to Restaurant Reviews,” KPIX.com, July 24, 2018. Jonathan Kauffman, “Yelp’s Food-Safety Alerts Steer Diners Away from Dirty Restaurants, but Also Spark Controversy,” San Francisco Chronicle, Mar. 8, 2018. City of Boston, “Mayor Walsh Launches Redesigned City Website: Boston.gov,” July 20, 2016. Diana Budds, “How One Florida City Is Reinventing Itself with UX Design,” Fast Company, Oct. 31, 2016. Michael Hendrix is the director of state & local policy at the Manhattan Institute. Follow him on Twitter here.